Suzanne McNeely (born Audrey Suzanne Fritts) passed away May 16th, 2015. Born in Wichita, KS, she obtained her undergraduate degree from Southeast Missouri State University and her graduate degree from St. Louis University. 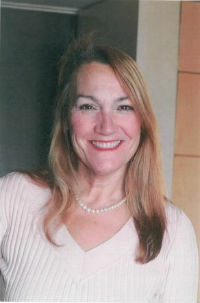 Suzanne worked for 12 years at University of Chicago hospital before moving to Santa Barbara in 1988, where she founded Senior Planning Services and Coastal Home Care. Suzanne was passionate about her elder-care work and was honored with many awards including the Spirit of Small Business Award for Best Woman-Owned Company 2009, Champion in Health Care award 2012, Community Business of the Year 2012, and the Spirit of Entrepreneurship Award in 2014. Having served her community on many boards over the years, she was currently on the Board of Directors for the Scholarship Foundation of Santa Barbara and was a member of the National Association of Women Business Owners. She loved her family and friends, fine wine, oysters, music, dancing, the Oregon Country Fair, NPR, a good book, and a great happy hour. Suzanne is survived by her husband, Thomas Allin, daughter Lauren Rodgers, grandson Isiah Skye Rodgers, granddaughter Olivia Suzanne Marshall, mother Becky Duff, father Paul Fritts, stepmother Martha Fritts, brothers Paul Fritts, Jr. and Jeffrey Fritts, and sister Kelly Duff. In lieu of flowers, donations can be made in Suzanne’s name to the Leukemia and Lymphoma Society athttp://events.lls.org/pages/calso/InMemoryofSuzanneMcNeely.